Moving into a new house is great excitement. Moving could be due to a change of office, buying a new property elsewhere, owing to children’s education etc. 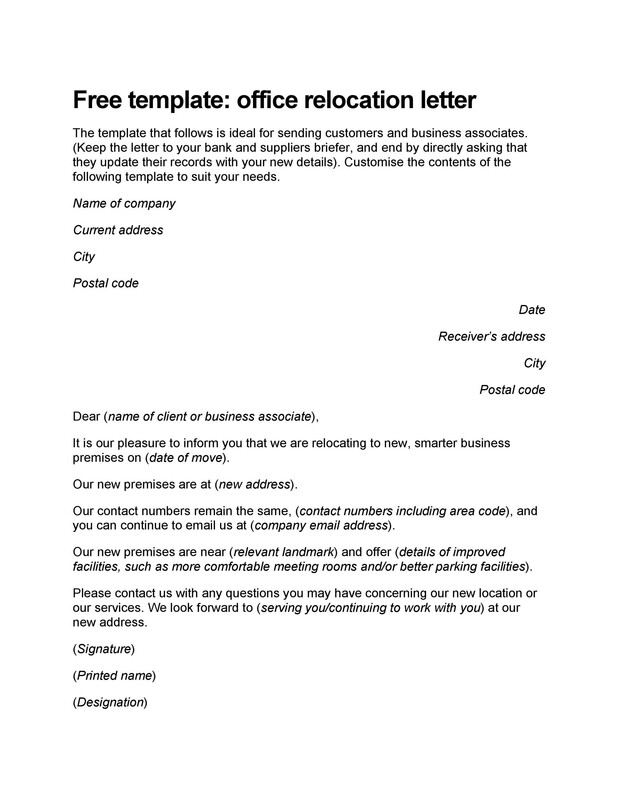 While planning a move, the need to write a change of address letter arises. 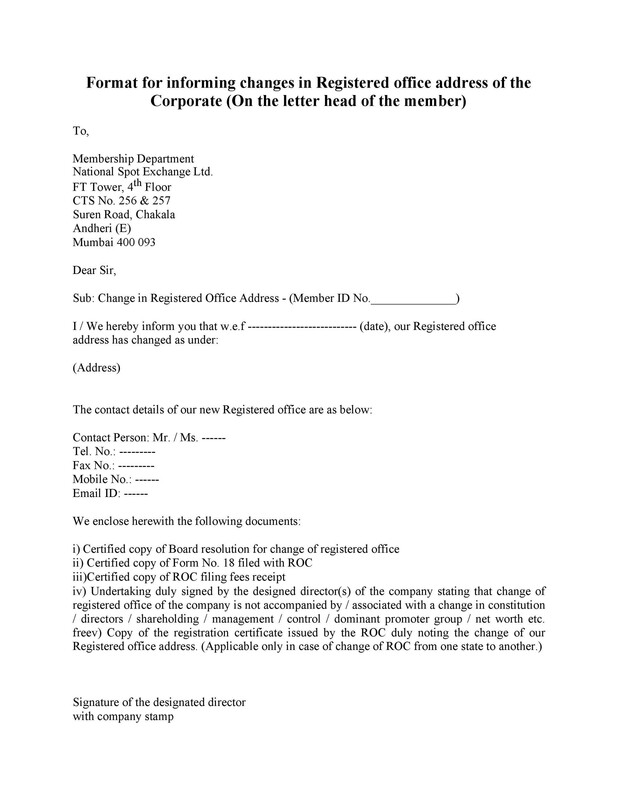 The letter is very important as you will use it to inform significant people such as your friends, family, colleagues, business associates etc. Basically, everyone you are moving away from. 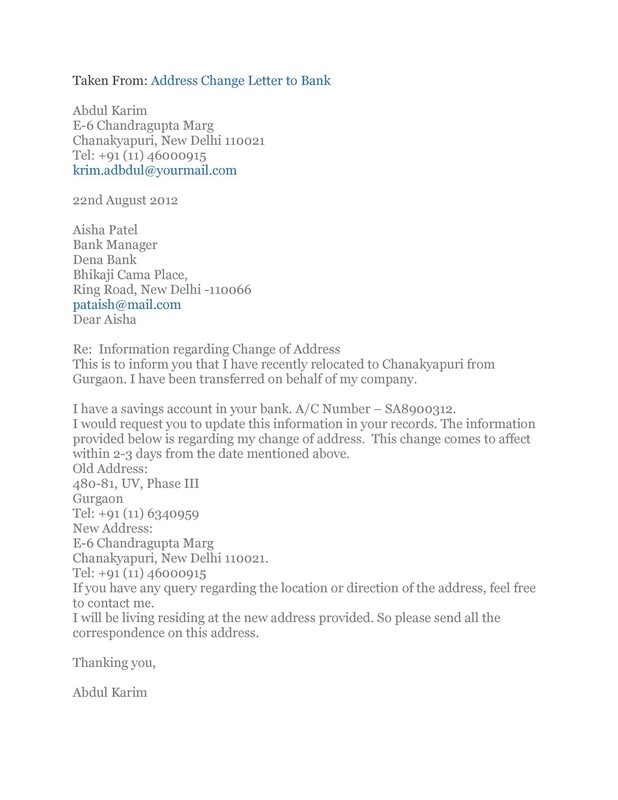 2 To whom do you send your change in address letter? 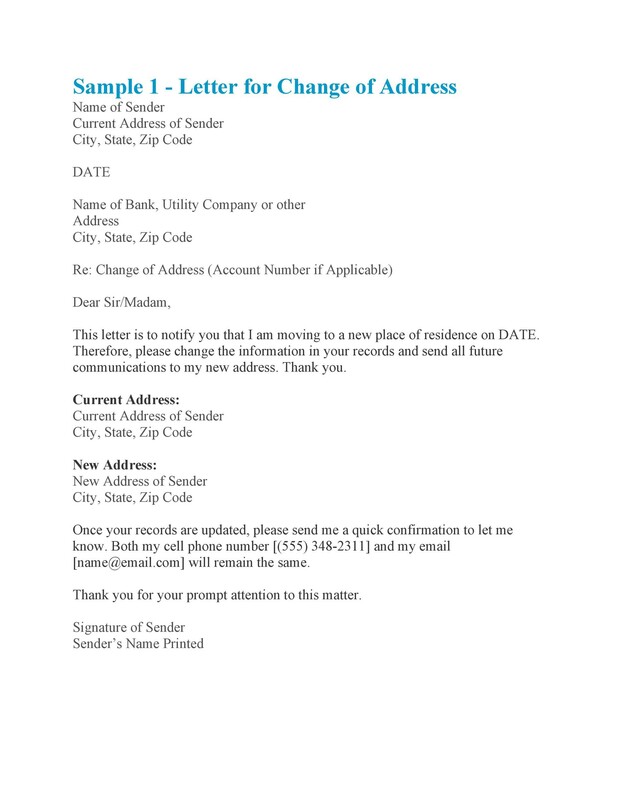 6 How to write a change of address letter? 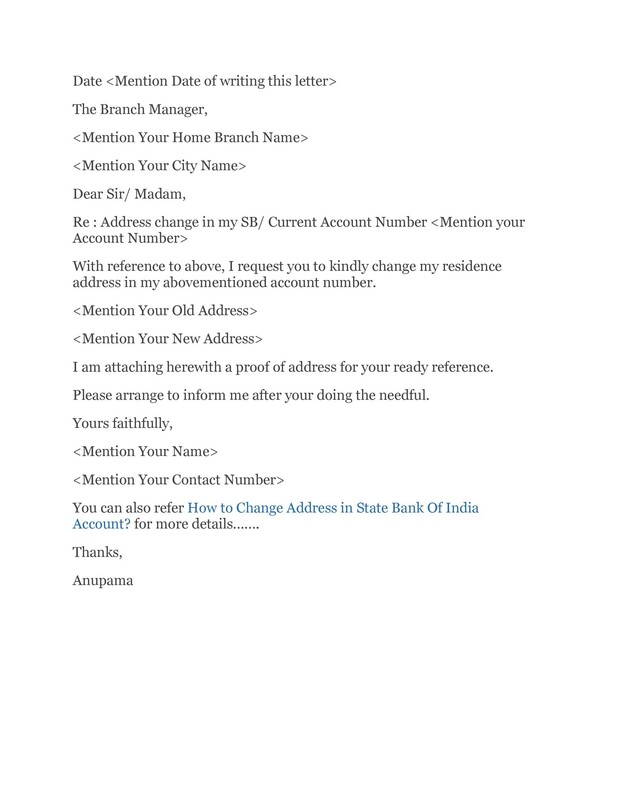 To whom do you send your change in address letter? Changing residences is a complicated process which can be very busy. 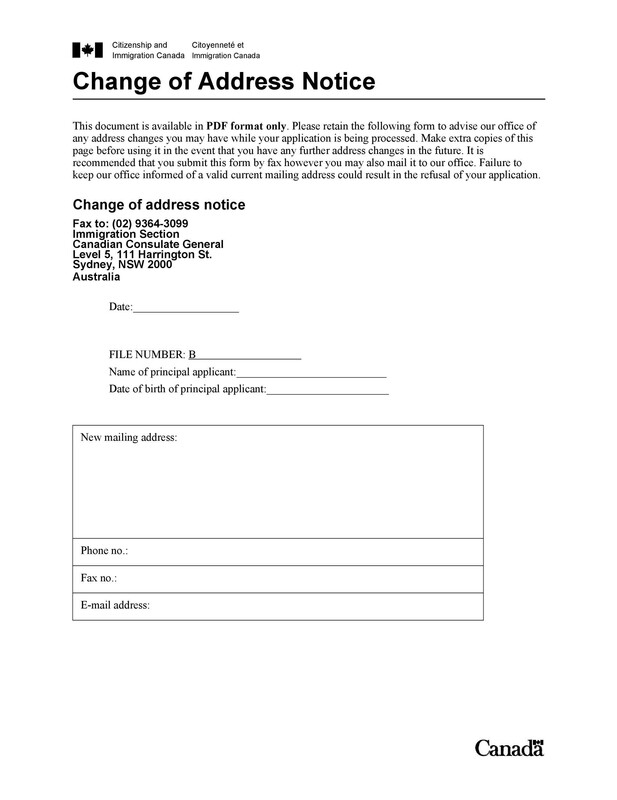 With all the hustle and bustle involved, you might forget to compose and send a change of address notice to send to specific people and institutions. This would be very unfortunate, especially if people would like to give you a visit but they don’t know that you don’t reside there anymore. 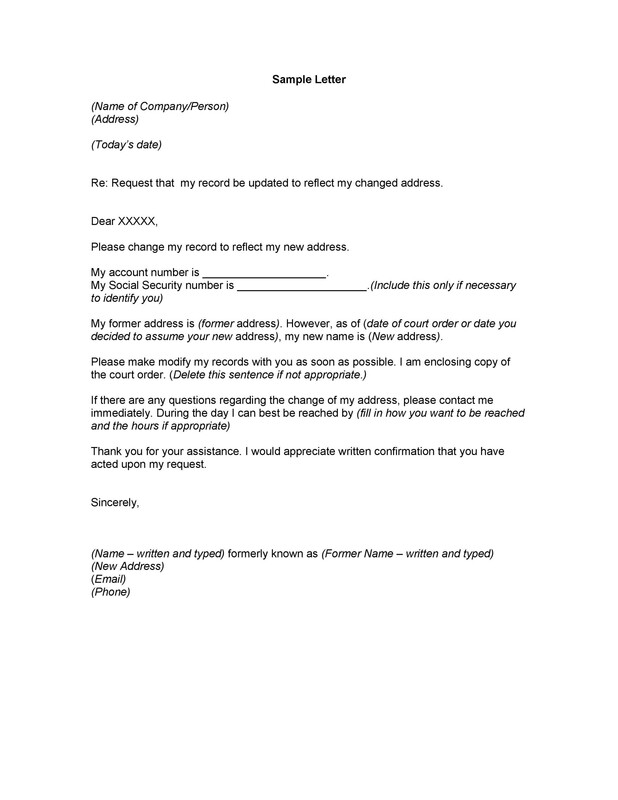 Although the people closest to you won’t need to receive such a letter, there are several personal and business contacts you should notify through a change of address letter. 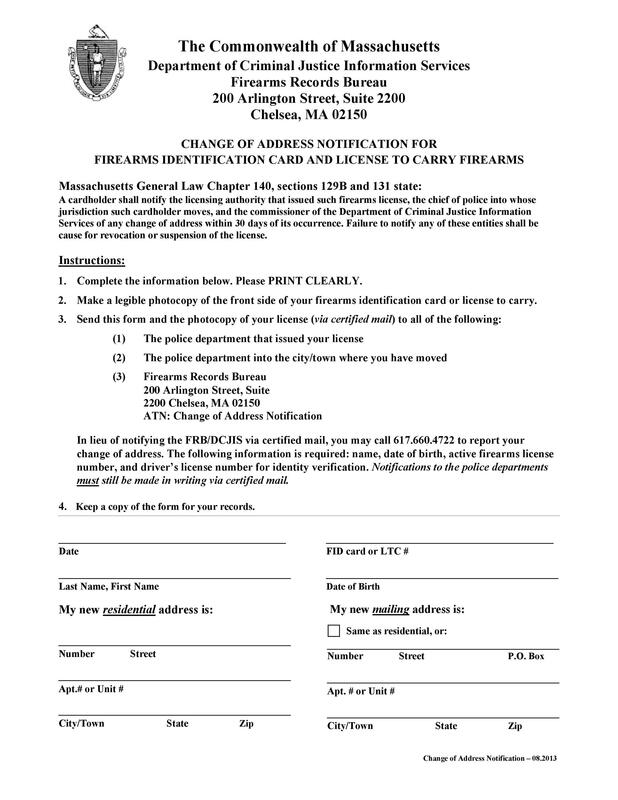 It’s also essential to notify the post office about your change in address. Provide them with your forwarding address preferably before you move. 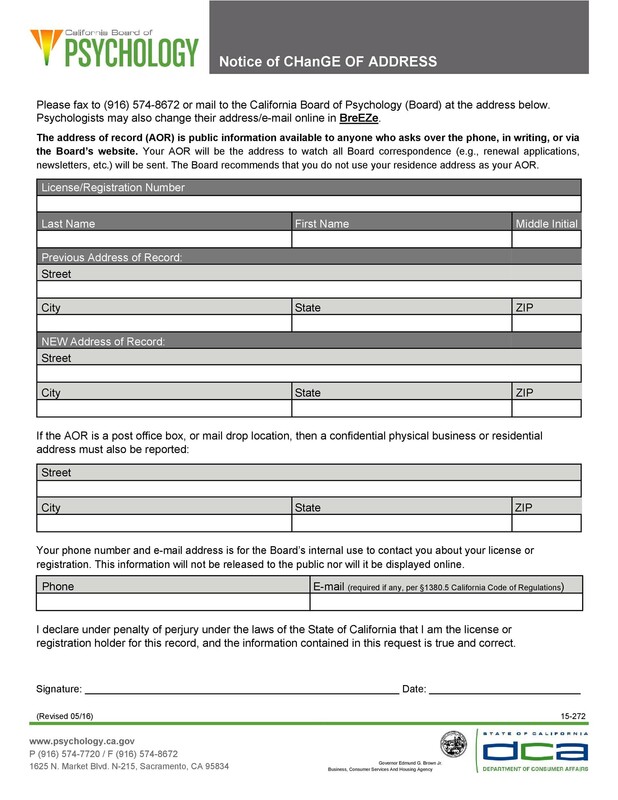 In doing this, you can make sure that you will still receive all of the mail that gets addressed to your previous residence. 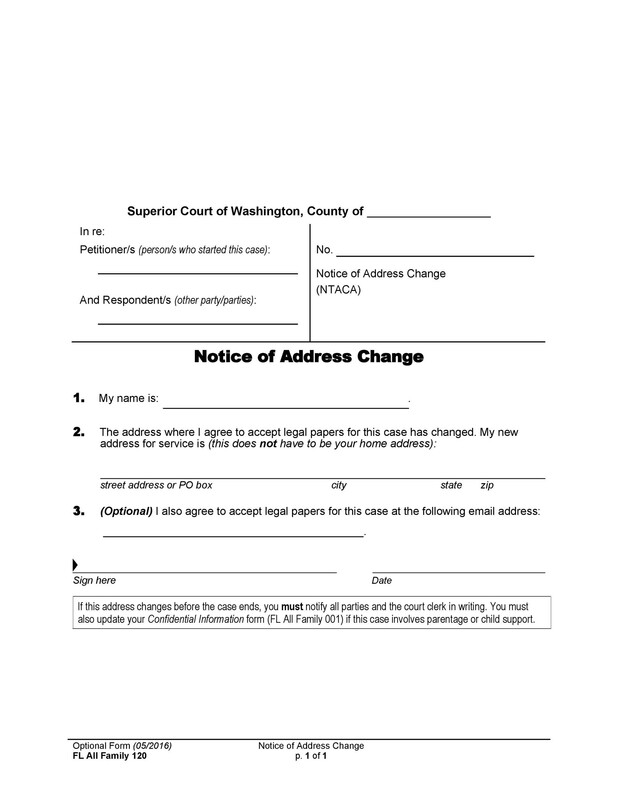 When updating information at the post office, you may have to fill out a “change of address form” rather than give a change of address letter. 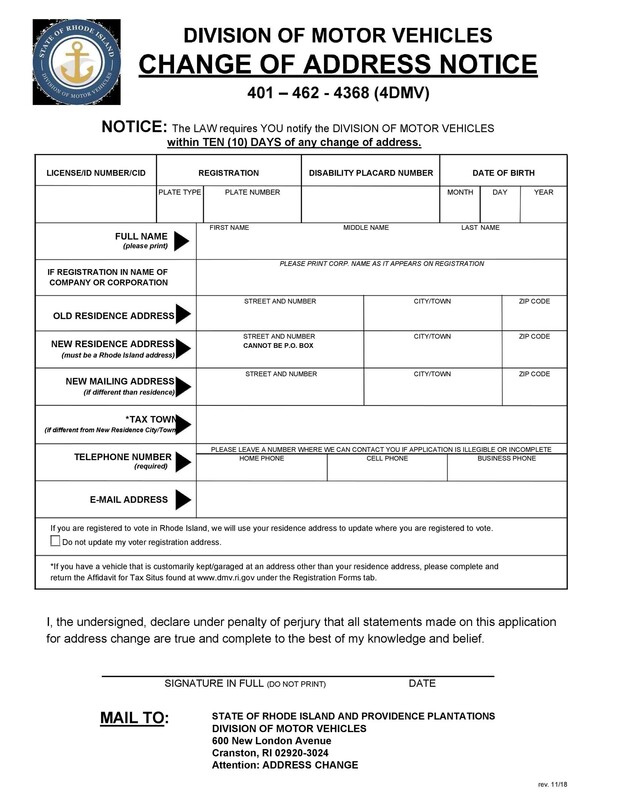 Include your name, your previous address, and your new address. 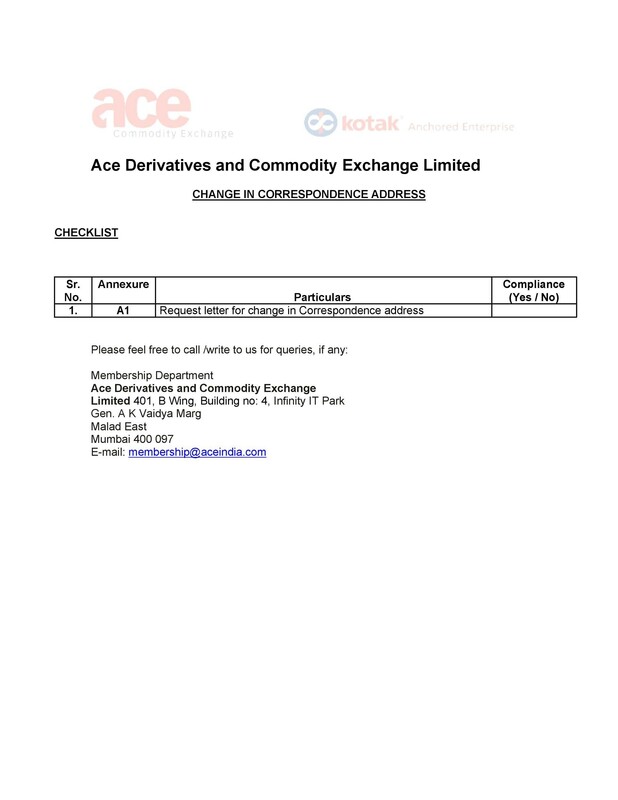 Also, include any other contact information which may have changed. 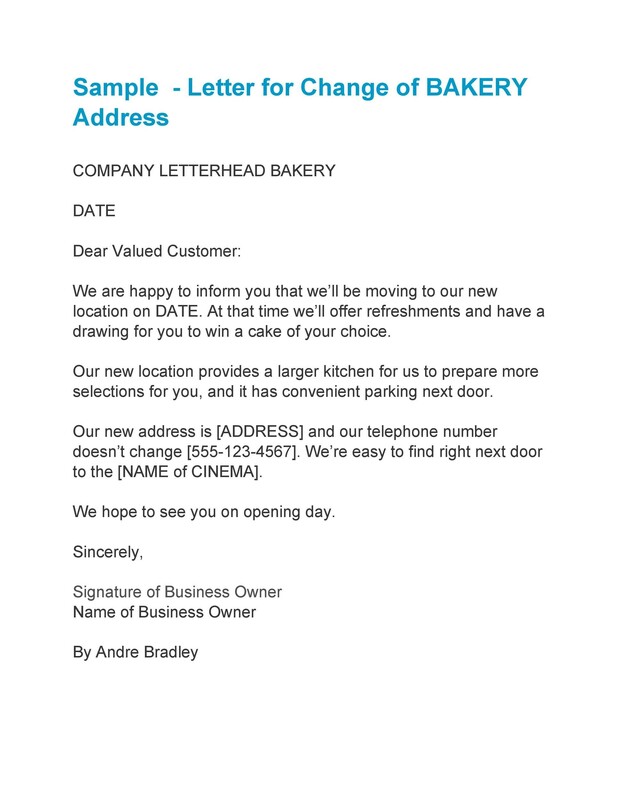 If you’re sending a business change of address letter to a bank or other types of financial institutions, include your account number too. 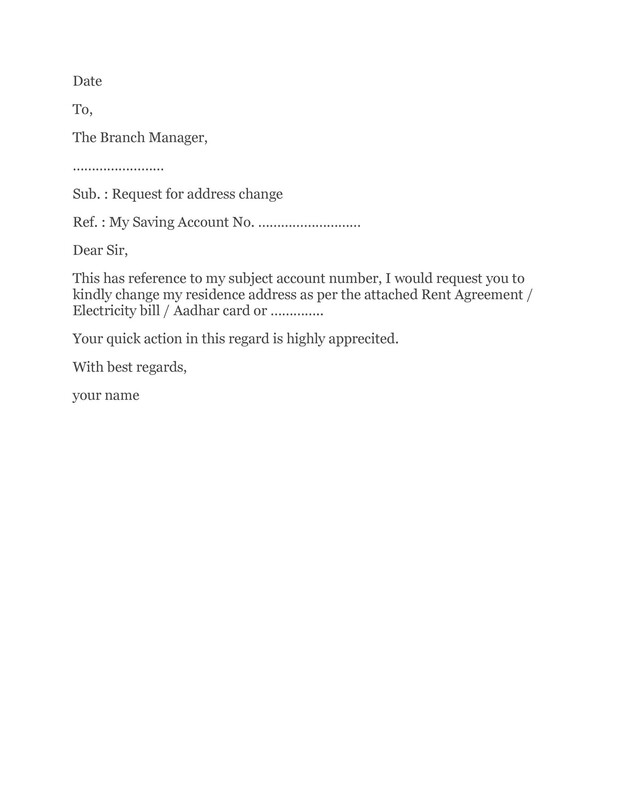 Go straight to the point and maintain a formal tone throughout the letter. 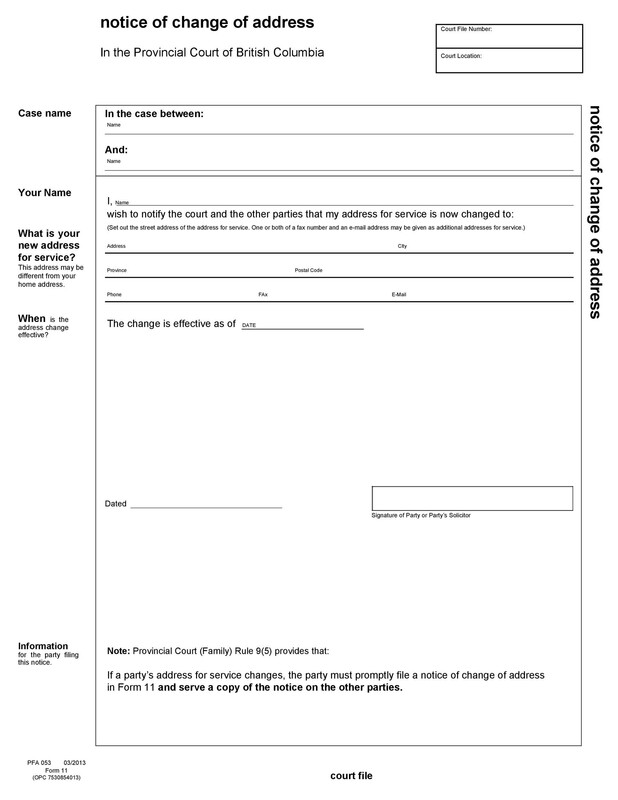 Address the recipient by name and state your change of address in the first paragraph of your letter. 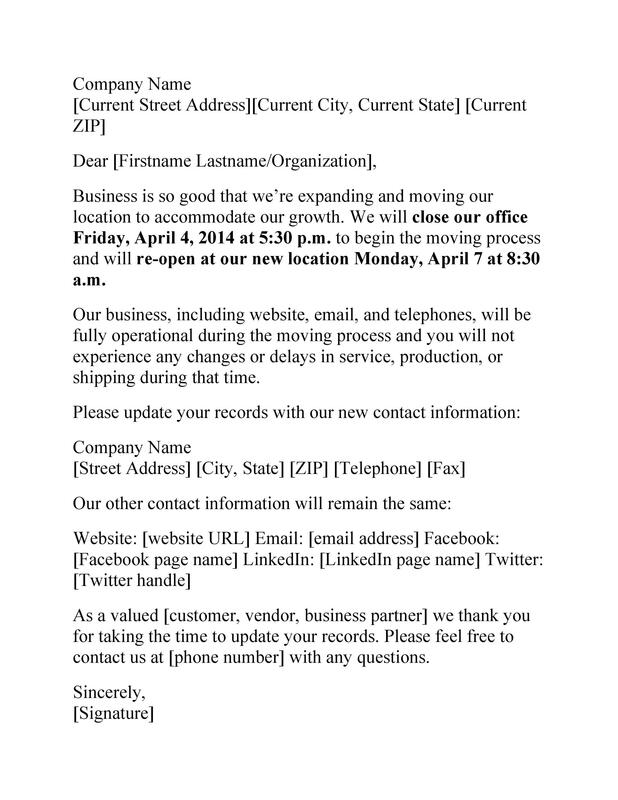 If you’re moving to a different business address, make sure to inform all your clientele along with the other people you work with about your new address. 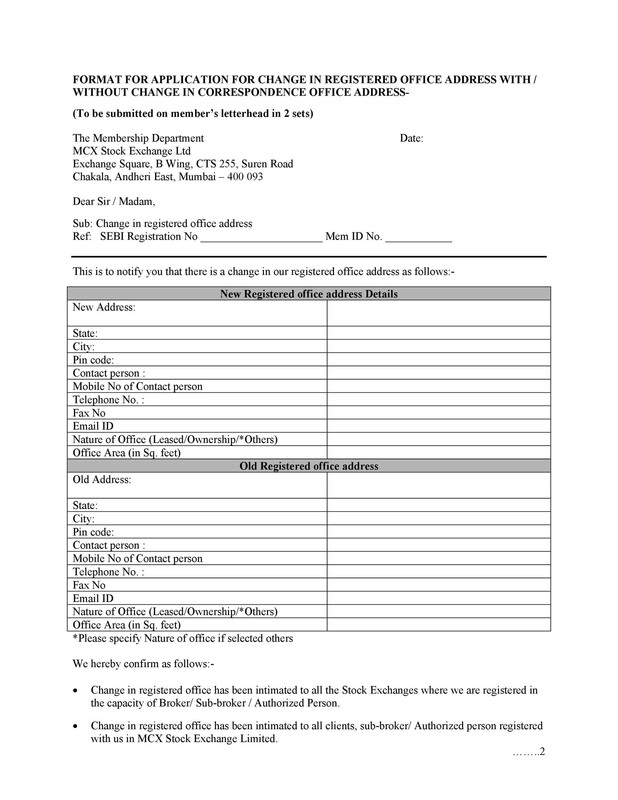 How to write a change of address letter? 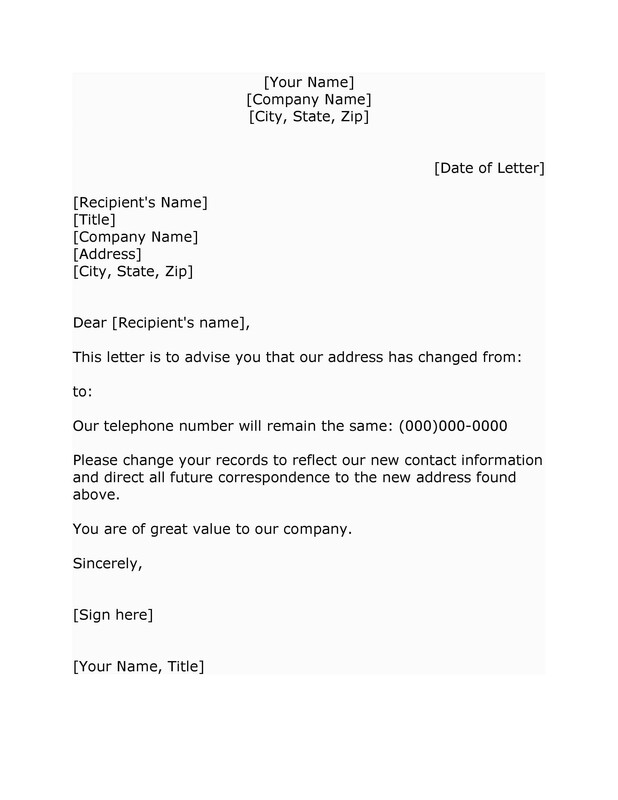 Especially when you’re writing the letter for business purposes, use a formal template for it. 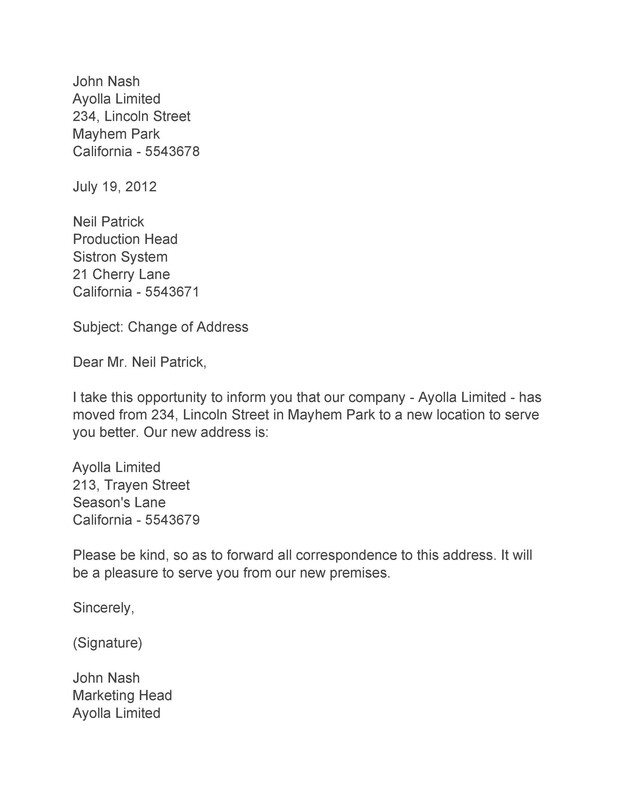 Come up with a mailing list, especially if you’re planning to send the letter to a lot of contacts. 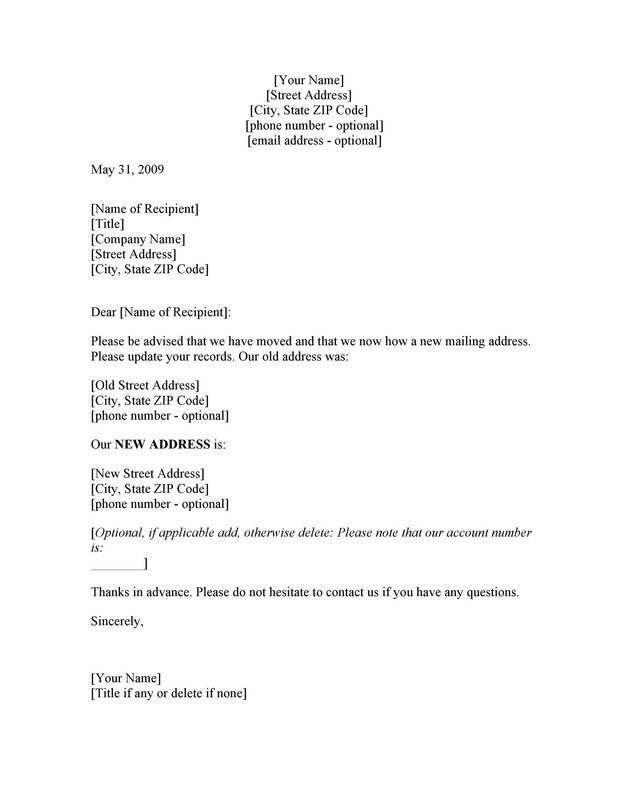 Set up the address block as this is an important part of traditional business letters. 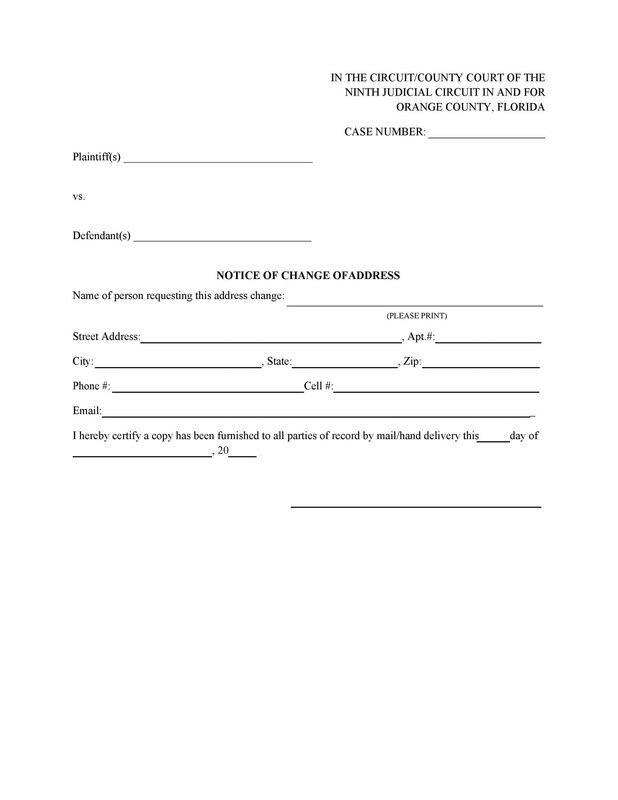 Include your name, your address, the name of your recipient, and the recipient’s address as well. 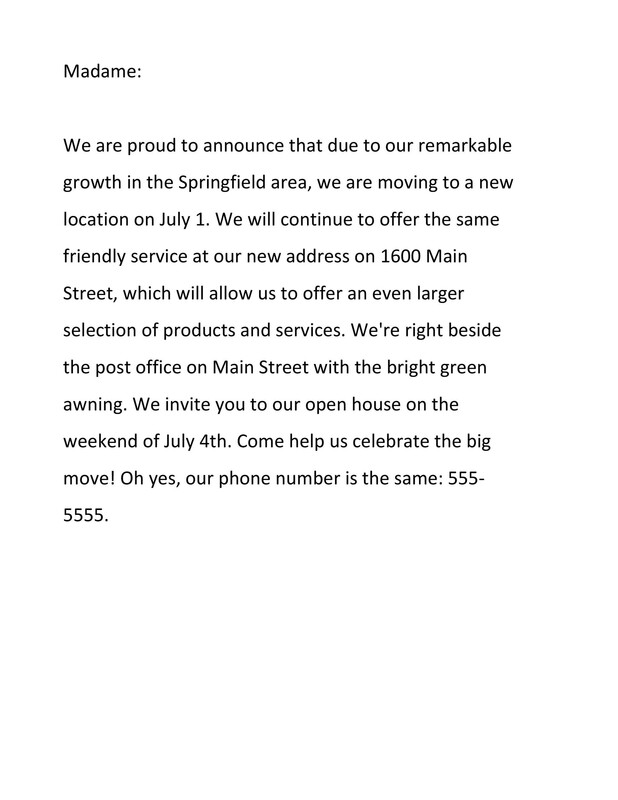 For your address, use the current address and not the address you’re relocating to. Start your letter with a greeting and salutation. Avoid using the word “Dear,” especially when writing the letter for organizations, businesses, government agencies or companies. Only use this greeting for when you’re writing the letter for individual persons. 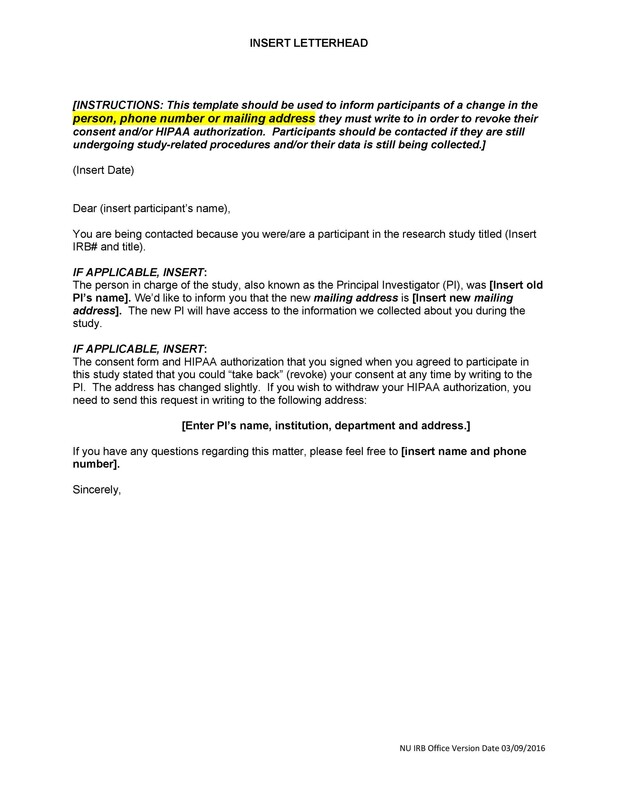 Write a short introduction to your letter. 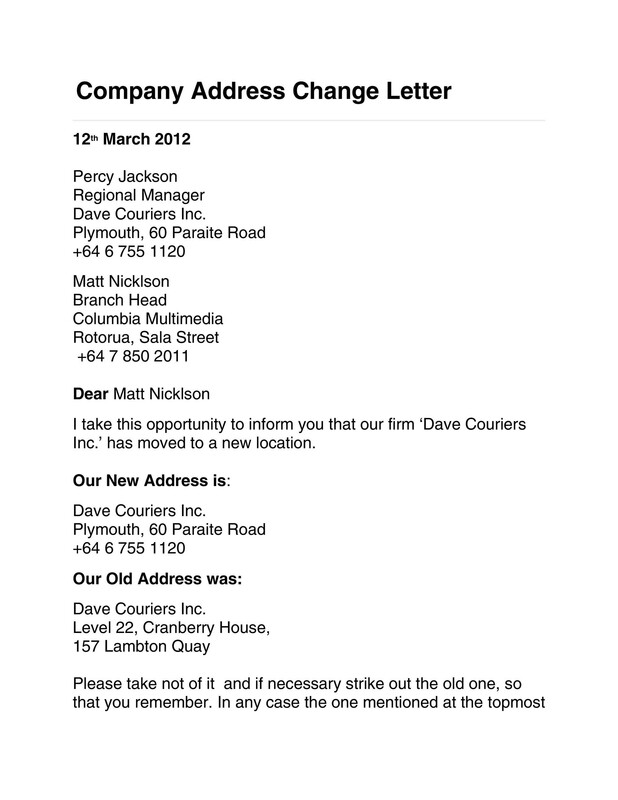 Start with a brief statement about your letter’s purpose which is to inform them of your change in address. This is a relatively simple type of letter which means that you don’t have to create a long introduction. Typically, a short sentence would suffice for your introduction. 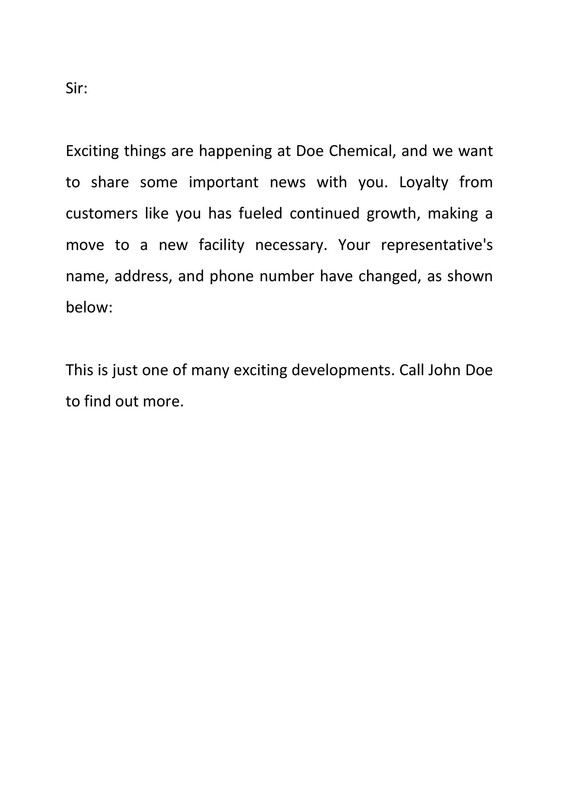 Writing an introduction that’s too lengthy or too wordy might confuse the reader and defeat the purpose of your letter. 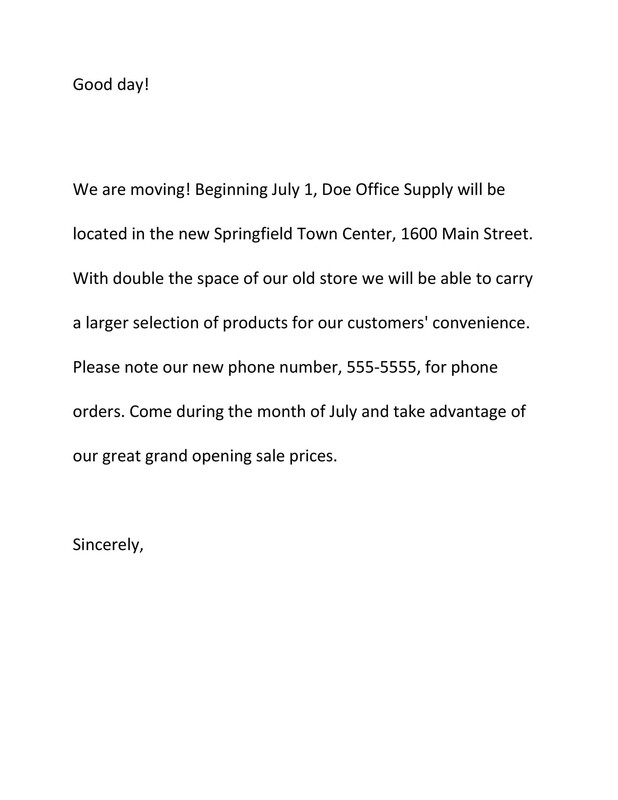 Since you want to keep your letter to only about one page in length, make it brief and straight to the point. The next thing to write is the body of the letter. 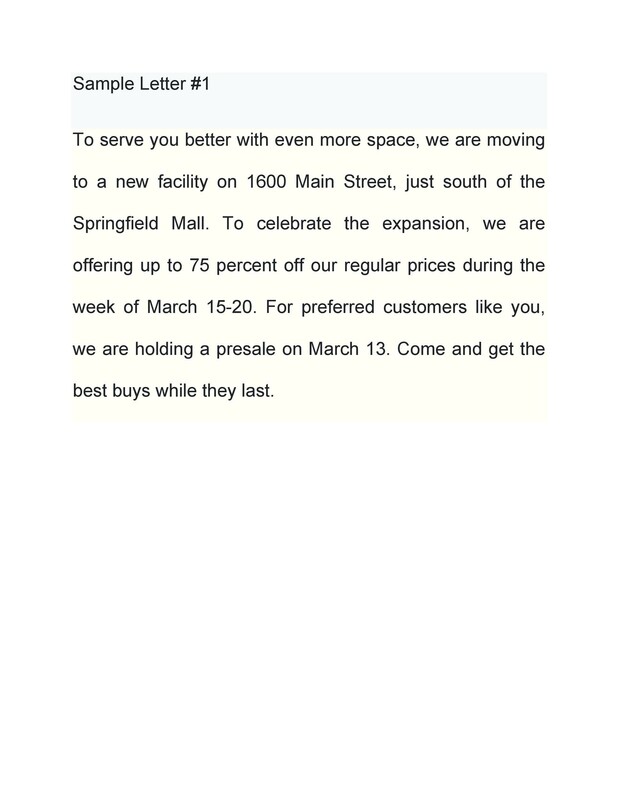 Also, give the date when you will officially move to the new address. That way, your recipients will know whether they should use your previous address or your new one if they’re planning to send you a letter or a package. 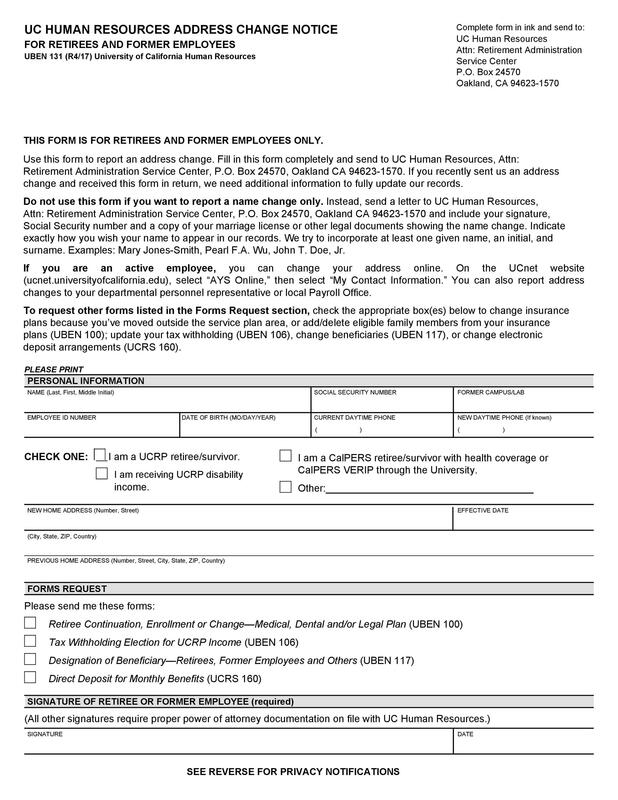 Send the letter as early as you can to give your recipients time to receive it, update your information on their records, and use the information you gave appropriately. 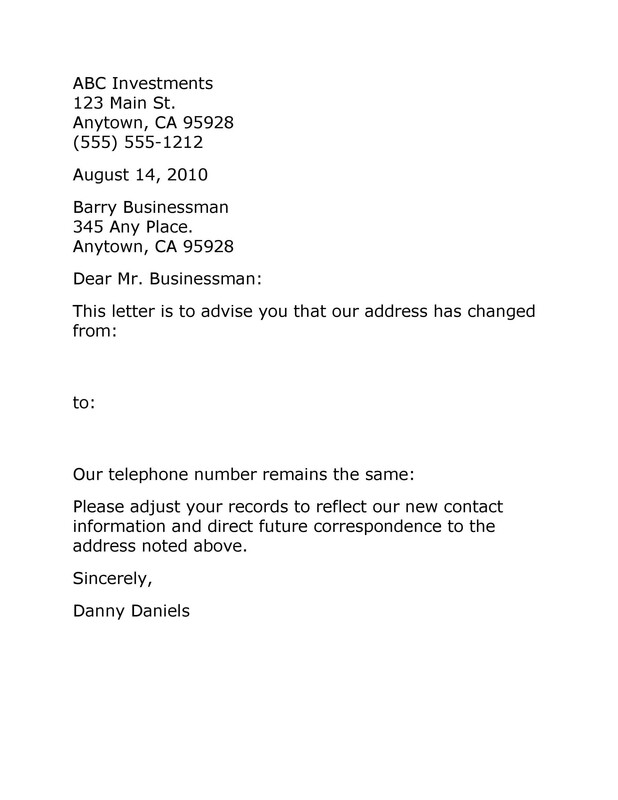 In the body of the letter, you should also include your new address. 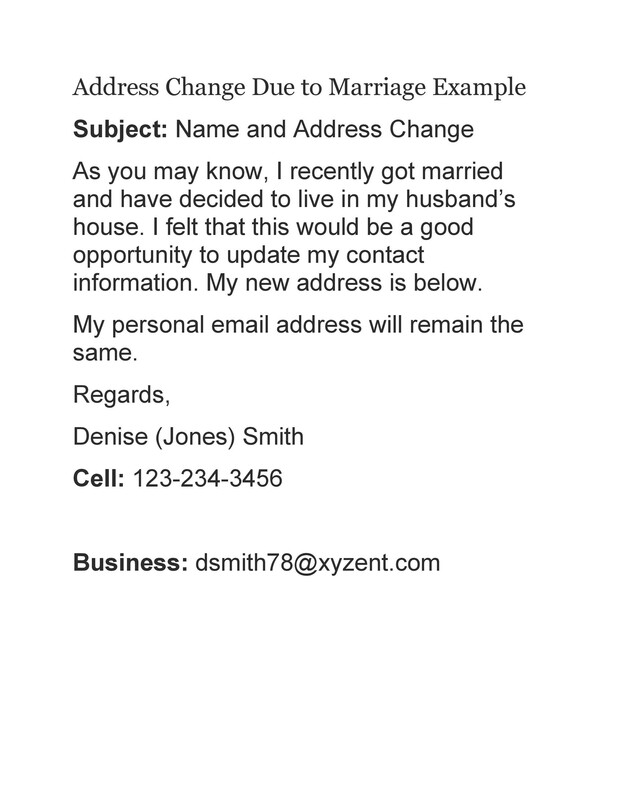 Tell your recipients that from the date you’ve specified, they can send all future correspondence to your new address. 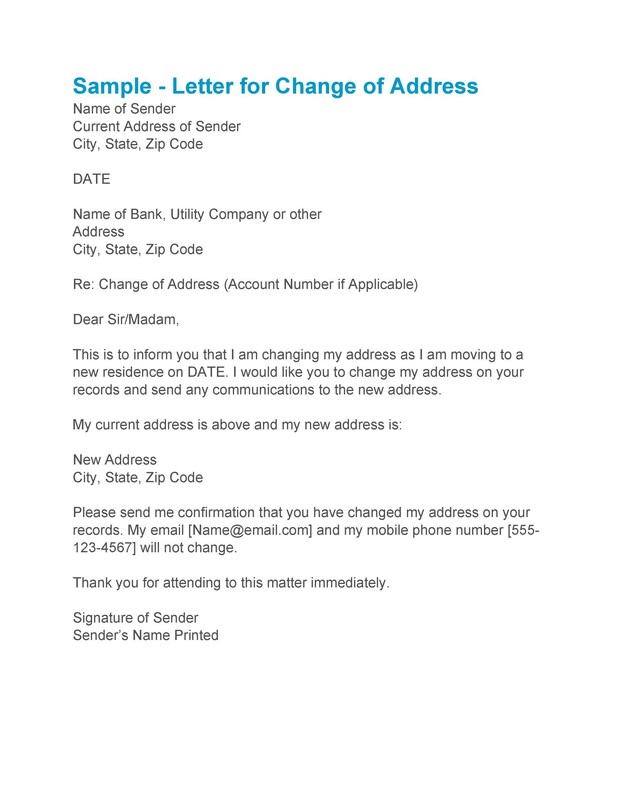 Format the address the same way you would format it on an envelope to make it easier for your recipients to copy. 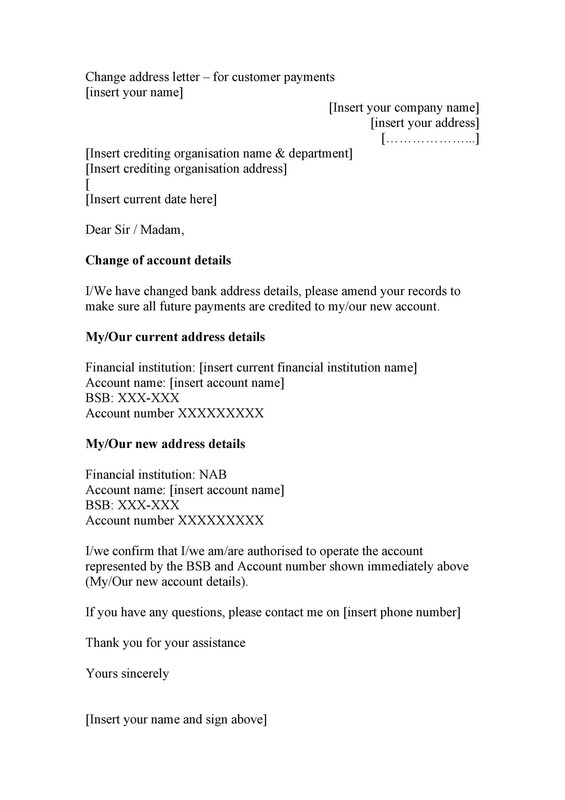 If needed, include any other important information such as your contact details. 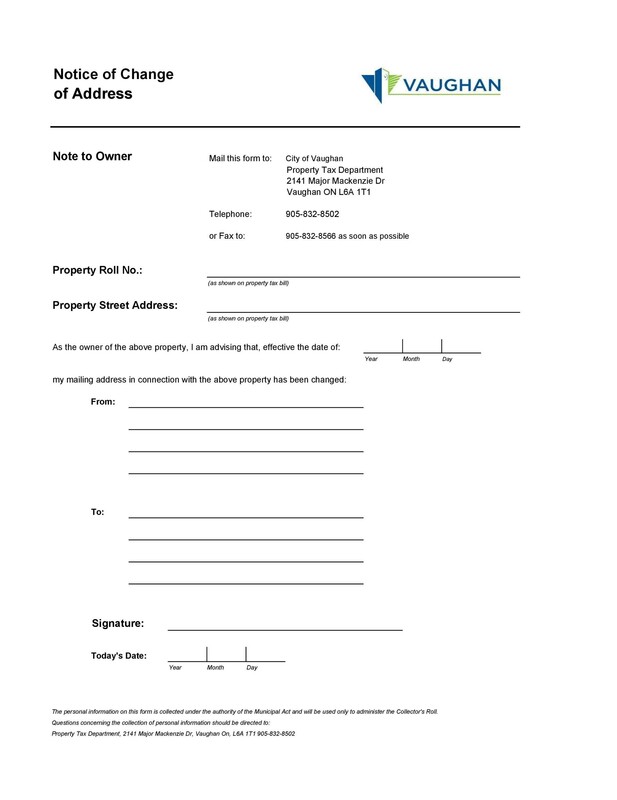 Depending on the situation, you may need to include information such as whether you will move by yourself, with your family or if your entire business will move to a different location as well. 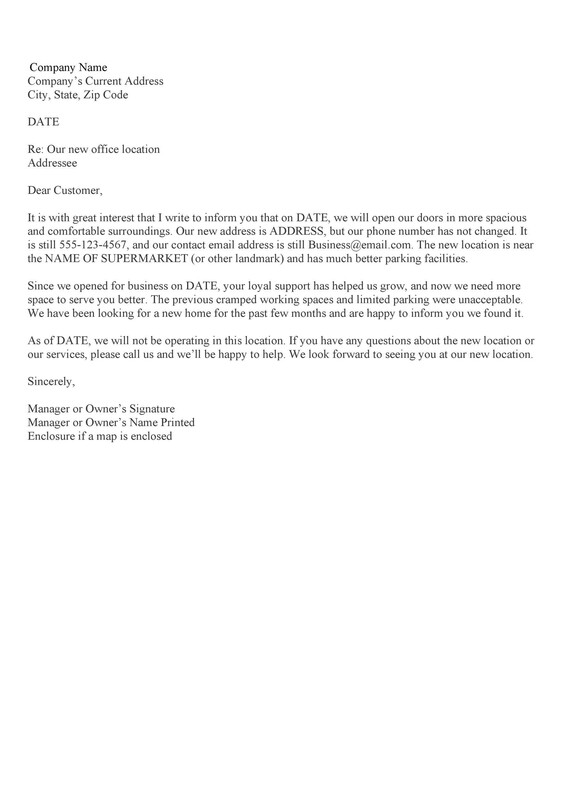 For businesses, state whether or not your business will stay open during the period of the relocation. Before you close your letter, thank the recipient for reading it all the way to the end. Just like the introduction, keep this short and to the point. 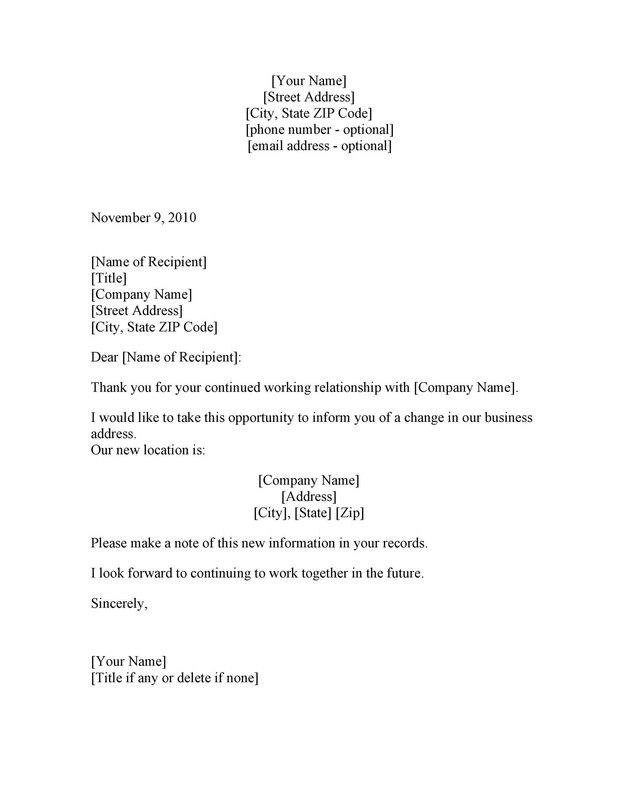 If you’re writing to a business associate, also include a statement about how you appreciate and value their business. After that, provide the recipient for a means of getting in touch with you. 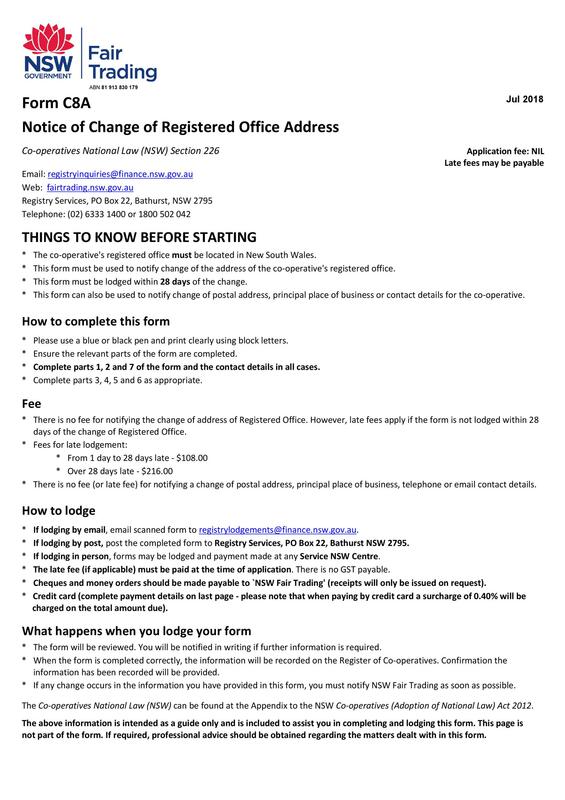 This can be in the form of an email address or your mobile number so your recipients can get in touch with you if they have any concerns or questions. 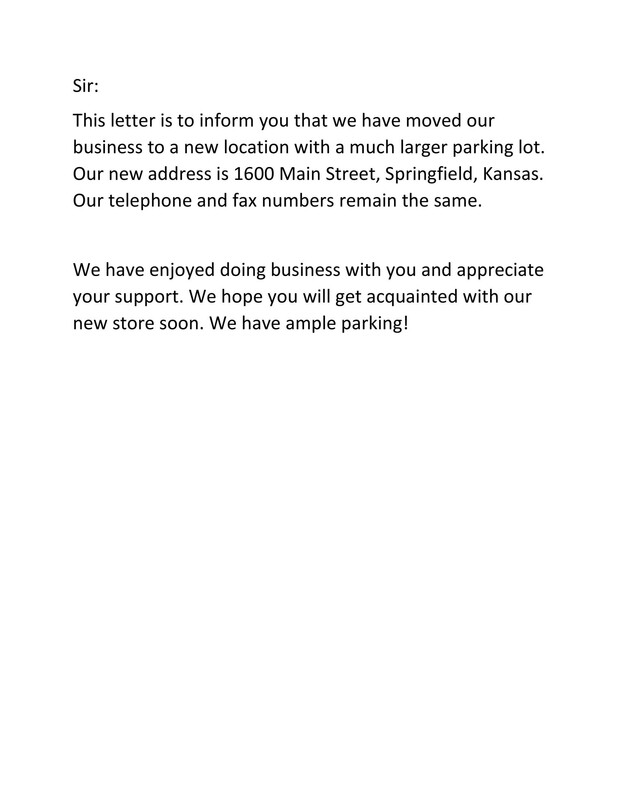 This is very important, especially if you’re relocating your business. If you think you’ll be too busy to communicate with your customers during the move, provide the contact details of a person that your recipients can speak to regarding any concerns. 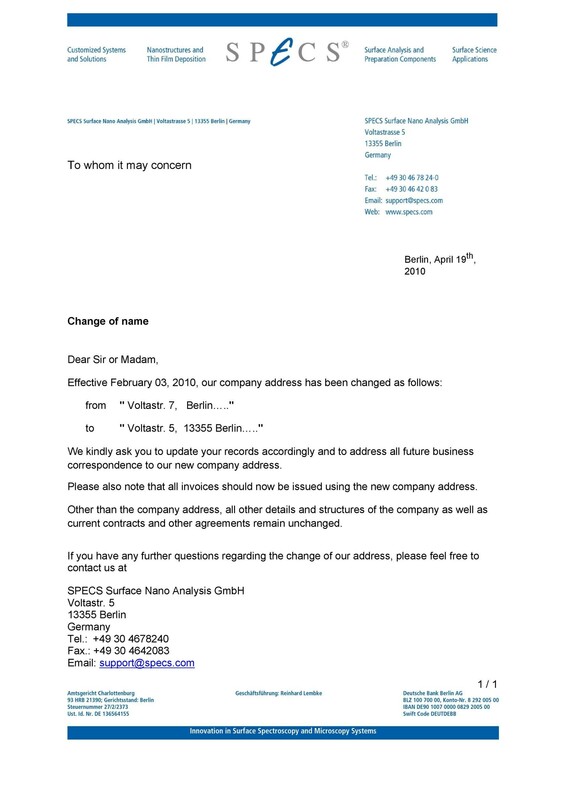 Complete the closing part of your letter. It would be better for you to compose this part first before drafting the body of the letter. For the closing, the word you will use should depend on your relationship with the recipient/s. 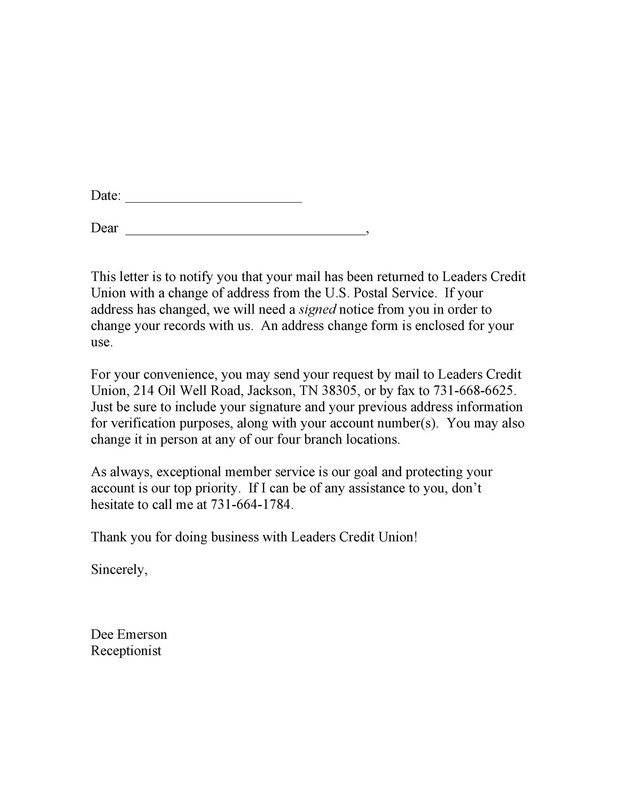 If you have the time and you need to send the letter to businesses and close personal contacts, craft several templates. 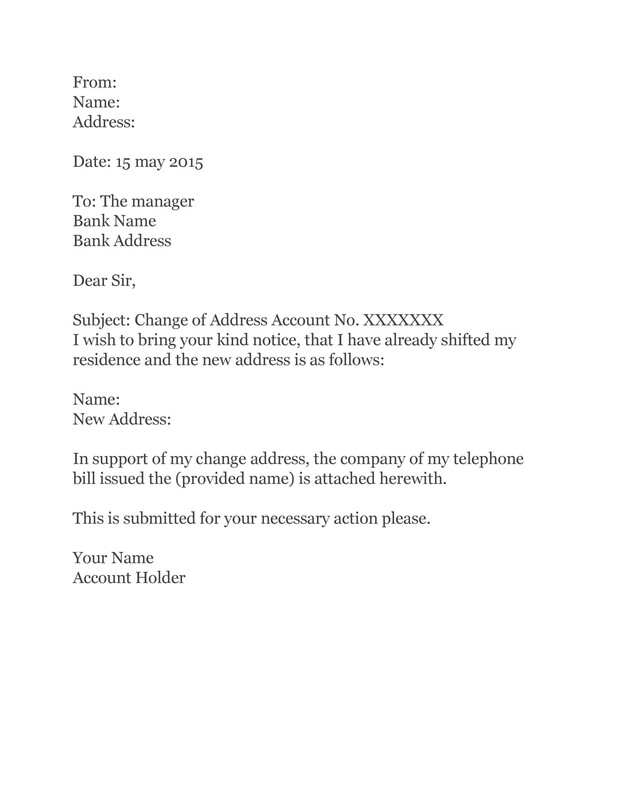 Do this so you won’t have to keep on changing parts of the letter each time you print it out. 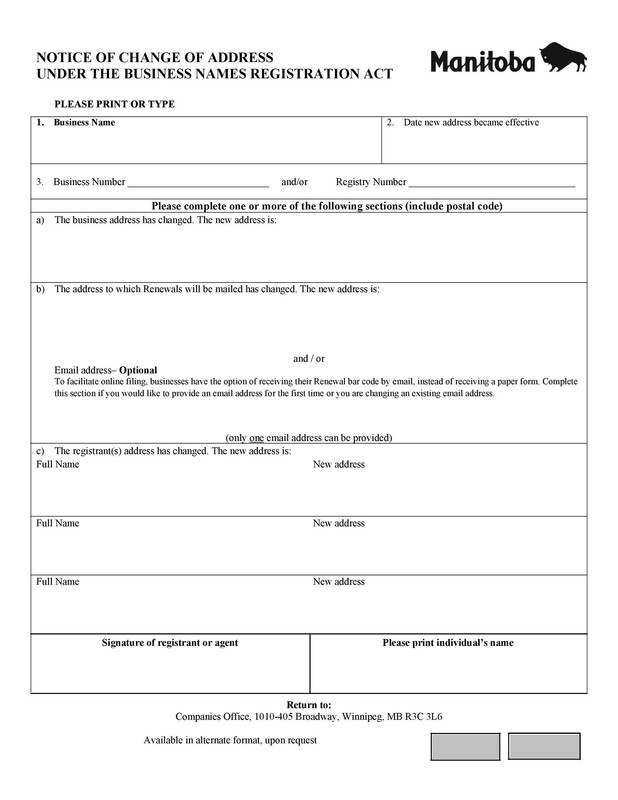 You can make a template for businesses, for financial institutions, for friends and family members, and your clients and customers. 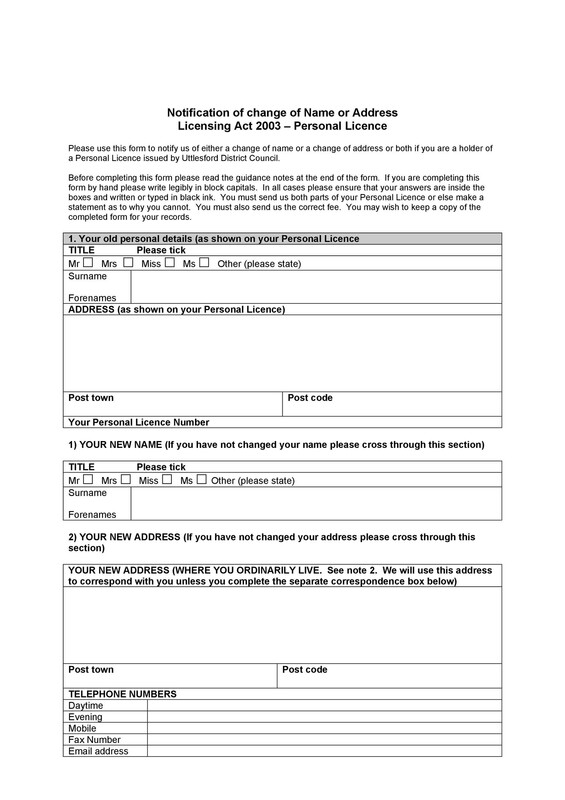 Make sure that all these templates contain the important information, especially your new address. Proofread it carefully before sending. You should proofread it before you even print it out. 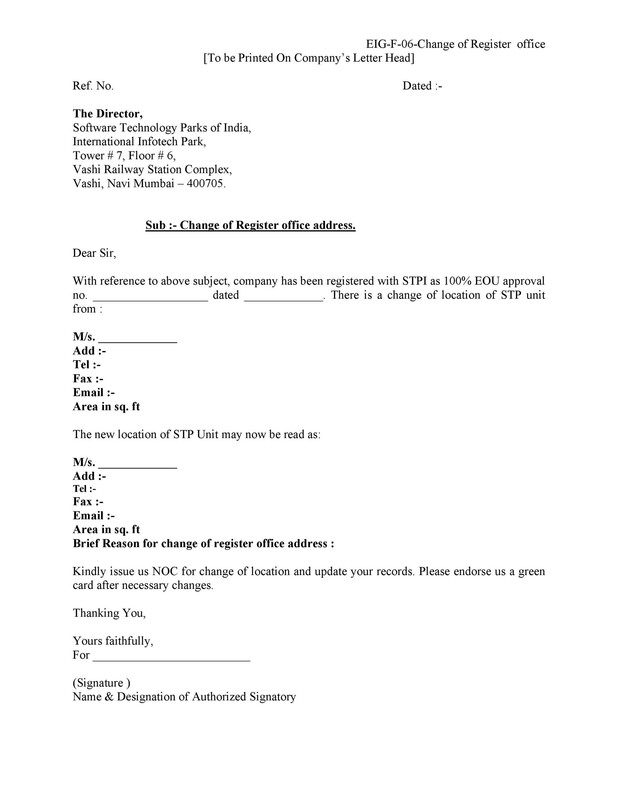 Confirm the correctness of all the information and make sure the letter doesn’t have any spelling or grammatical errors. 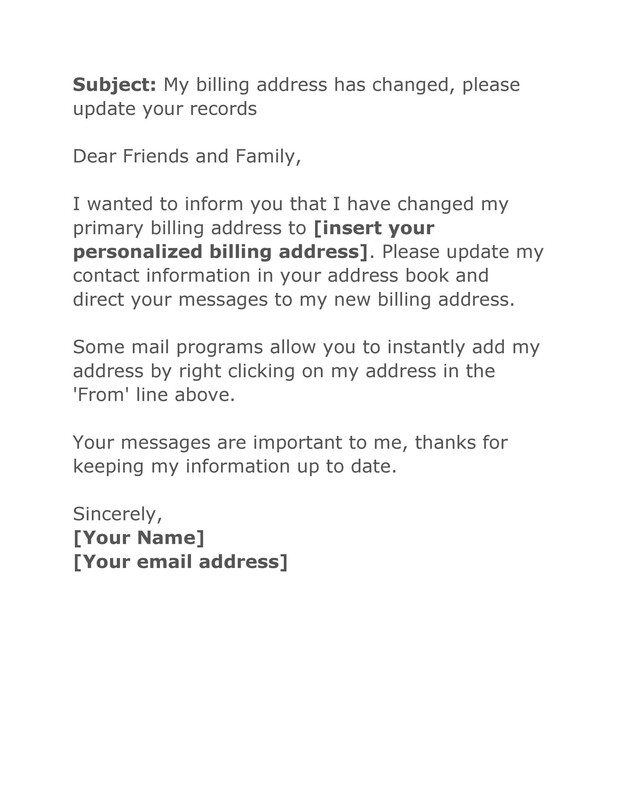 Also, make sure that the information of the recipient is also correct. 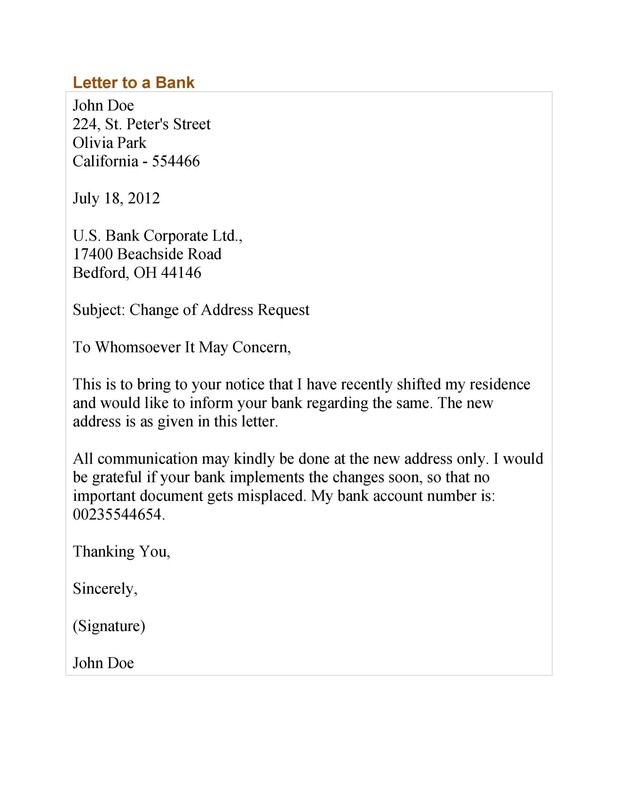 Otherwise, the letter might not reach the intended recipient. 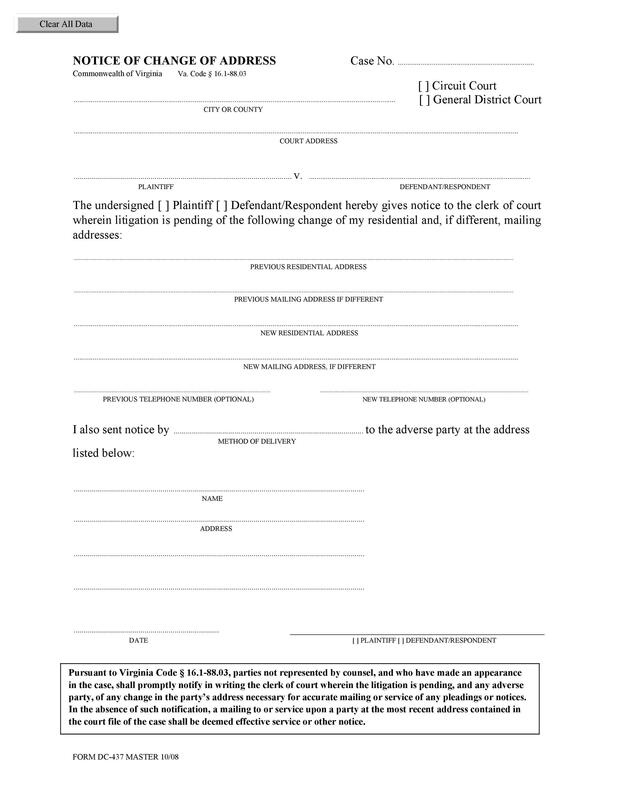 After you’ve checked and finalized the letter, print it out then affix your signature. 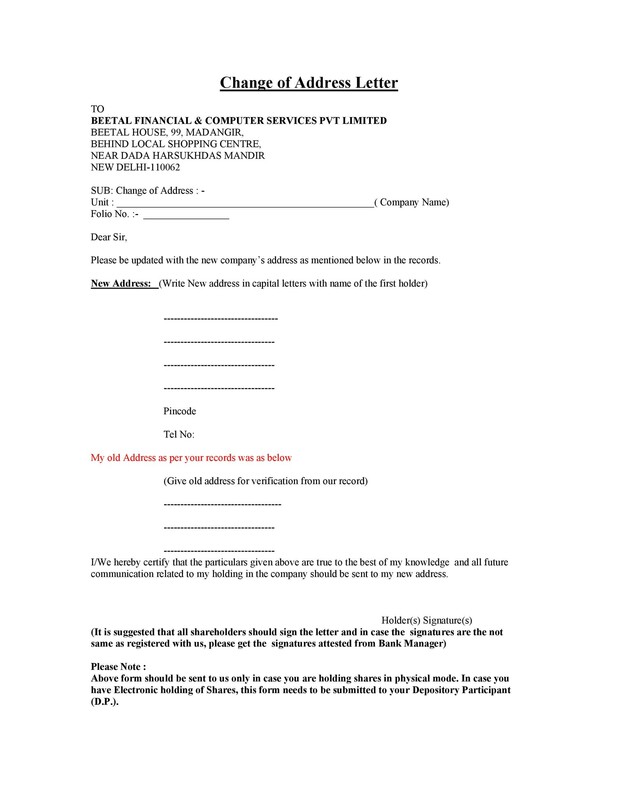 As much as possible, compose this letter well in advance and send it to all the important people in your life. It’s even better if you can send the letter before you make a move. After that, include the date when you’ll officially relocate. 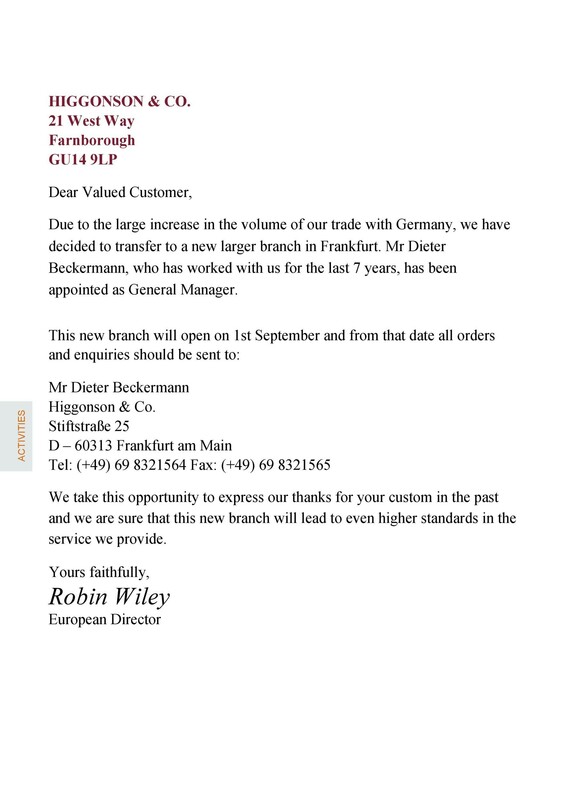 If you have any international contacts, you need to send the letter even earlier. Do this because it takes a longer time for them to receive the letter than your local contacts.